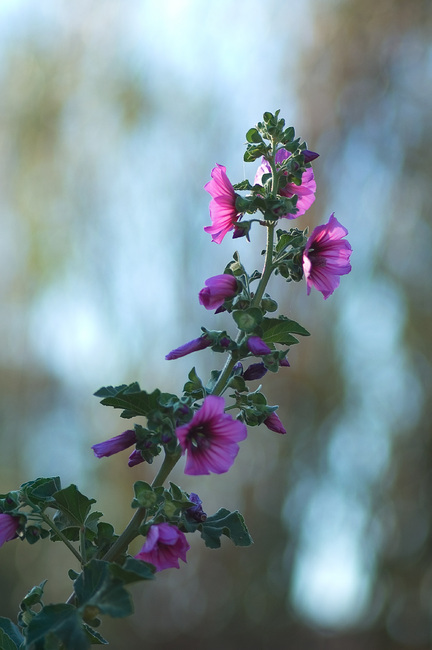 This 8ft-high Mallow may be treated as a weed, but it still puts on a nice display. Details: Nikon 105mm 1:2.8 macro, ~f/5.6, 1/640s, ISO 200. Gorgeous - I thought this was hollyhock, but mallow is different. Photos of it look similar though. Beautiful stuff!